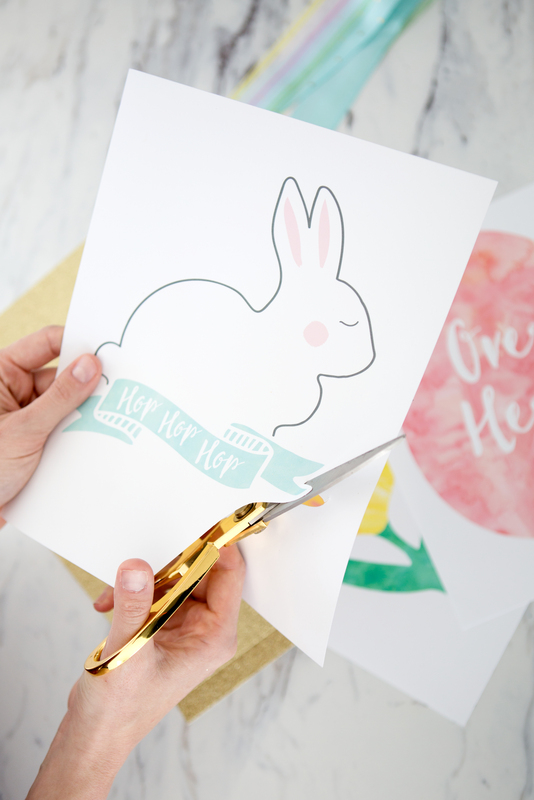 With Easter only a few weeks away, we put together some fun printables for an Easter egg hunt! 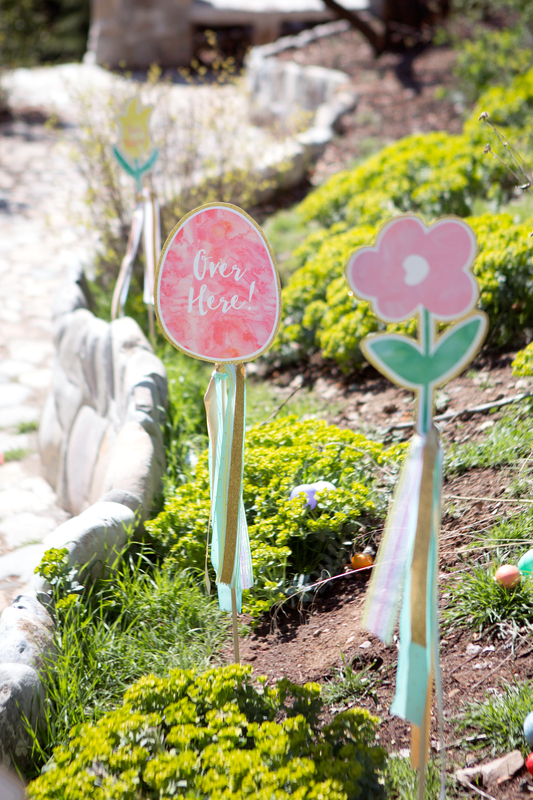 Every Easter we put together a special egg hunt for our kids, we fill eggs with candy and prizes and let the kids find the eggs. This is something our kids look forward to every year so we try and make it as special as we can. 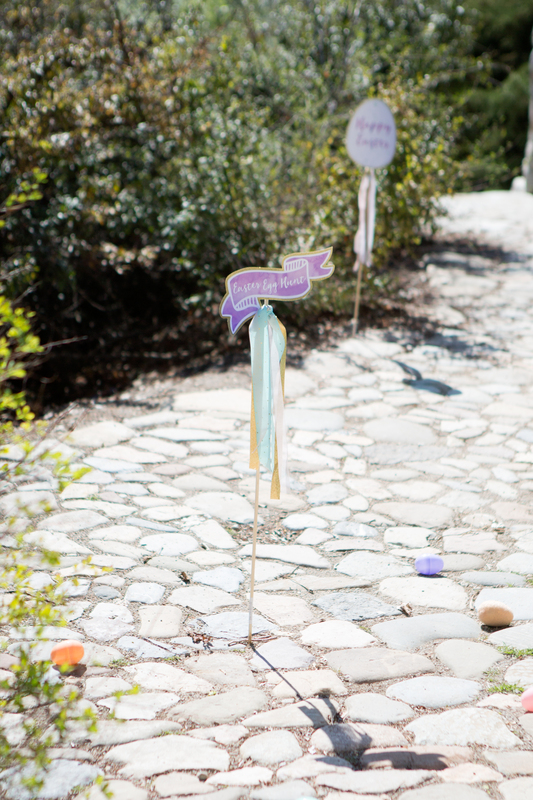 This year we put together some Easter egg signs to help the kids find the eggs to add to our Easter egg hunt. 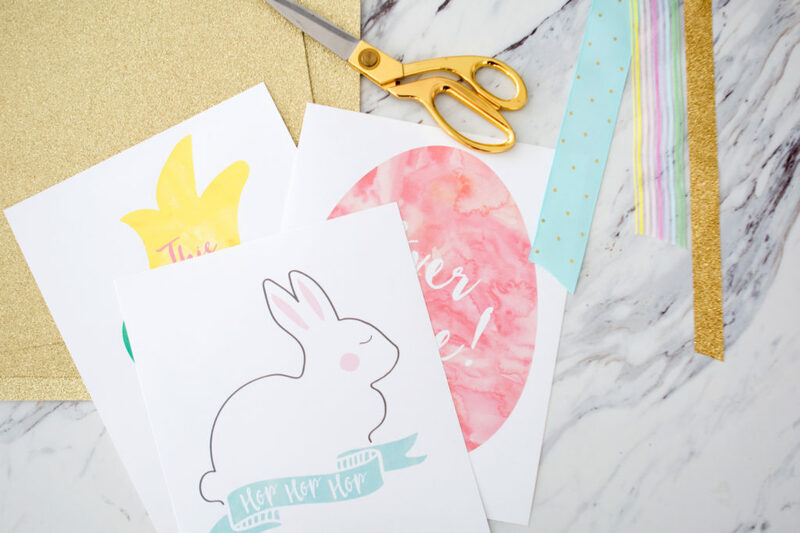 Cut out the printables (we did a small outline of them when cutting). 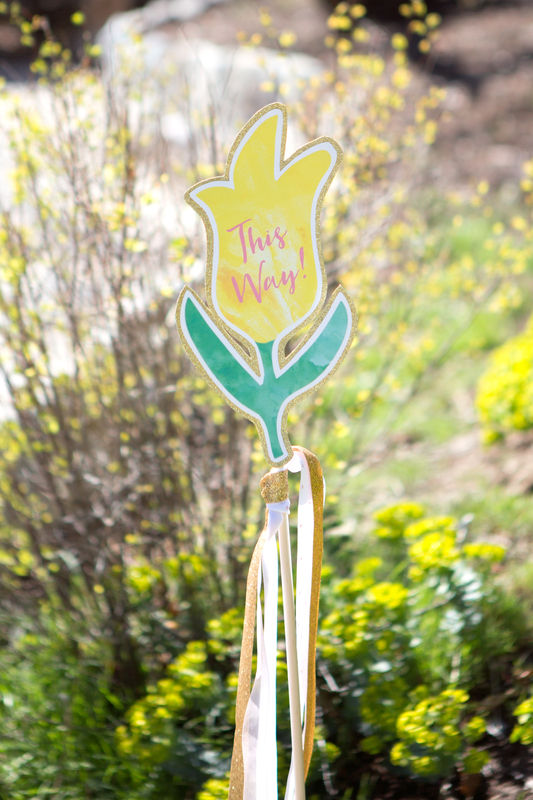 We then glued them to glitter card stock to do another outline to add dimension and attached them to our wooden dowels with hot glue. 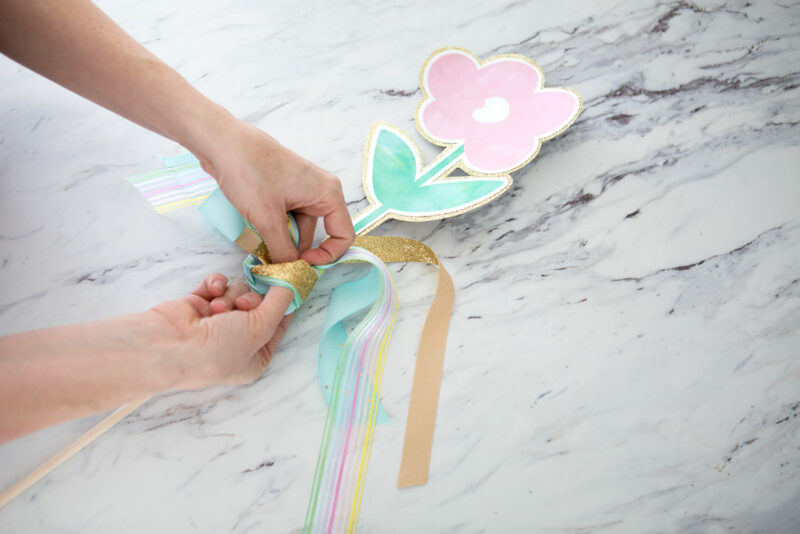 We finished by adding colorful ribbons easter colored to the top of the dowel. 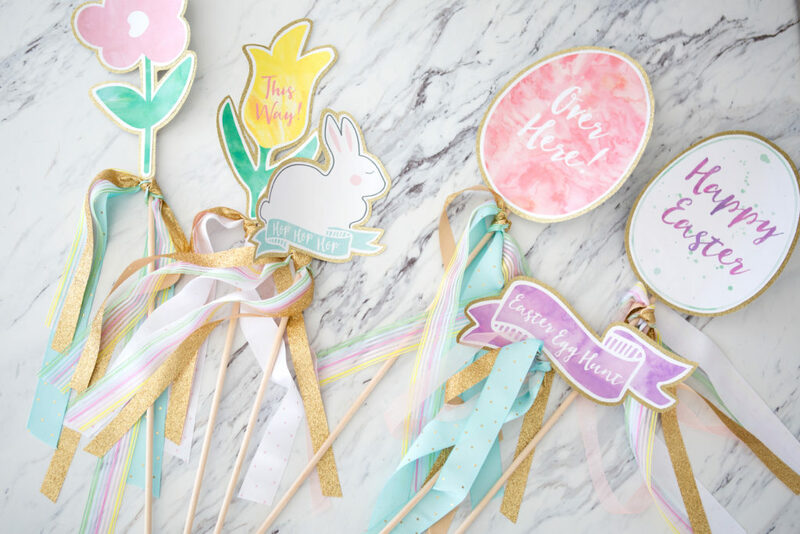 Try scattering the signs and eggs all along your yard, at the finish sign you can add an Easter basket or a special prize. 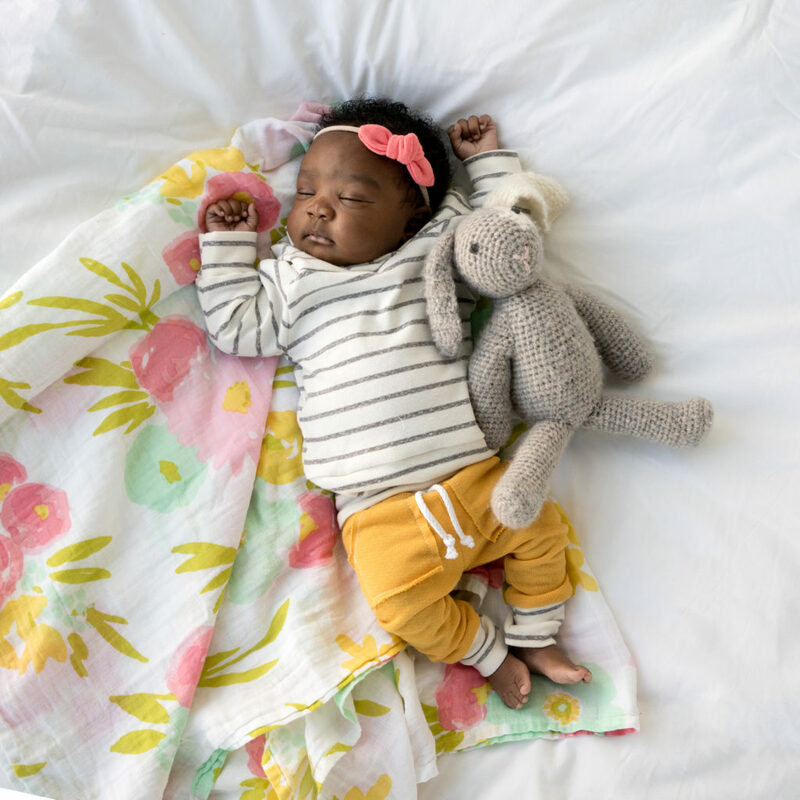 For older kids you could be tricky in the way you hide them so they aren’t as visible. 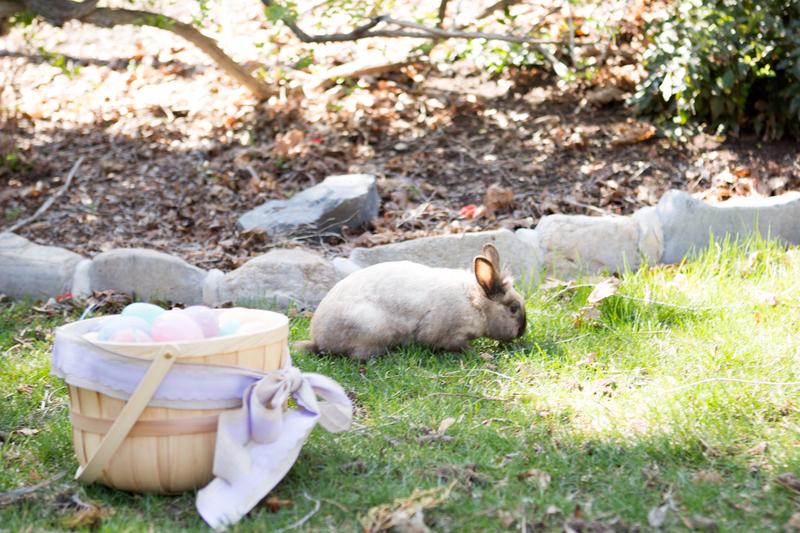 We had so much fun putting this together at a nearby park, we even saw this cute little bunny hopping around… it must have been a sign!